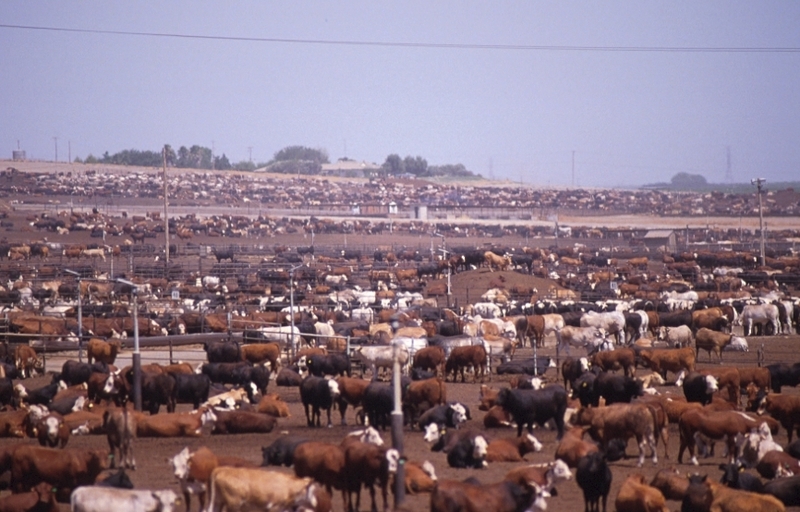 Cattle factory farming causes many problems such as the production of large amounts of methane. Created by Socially Responsible. View source. Large-scale monocultures, genetically modified breeds, and meat rolling off the assembly line are distinctive of today’s food production. At the same time, enormous amounts of resources are wasted, habitats are destroyed, metabolic cycles are disturbed, and dangerous dependencies are created, damaging both humans and their environment. Due to excessive fertilization and the use of pesticides in intensive industrial agricultural systems, the ecological balance of the surrounding land is disturbed. Factory farming creates numerous problems: feeding animals antibiotics causes antibiotic resistance in animals and humans, soil and groundwater become toxic due to the huge amounts of liquid manure, and rainforests are cut down in order to create more space to breed cattle, which releases carbon dioxide emissions. Cattle also contribute substantially to the greenhouse effect by producing methane gases. Genetically modified seeds reduce biodiversity and create social disparity. Every day and everywhere people eat and drink. Peter Menzel’s project “What I Eat: Around the World in 80 Diets,” shows how varied these meals may be. A meal is more than just food on a plate. Whether breakfast, lunch, or dinner, meals tell a story of wealth and poverty, regional and climatic differences, and local customs and traditions. As the world’s population grows, global hunger is also growing. The demand for meat, sweets, and instant meals grows, in particular in areas where the Western lifestyle is spreading. But this trend cannot continue, for the Earth cannot support an unlimited amount of consumption. We have to search for alternative food sources that are more environmentally friendly, sustainable, and healthier. Some of the alternatives to meat require us to keep an open mind and reconsider how we think of food. In August 2013 the first in vitro hamburger was presented to the public. But synthetic in vitro meat can also potentially be developed into new and exciting products that bear little resemblance to the meat we are familiar with. Another alternative protein source is insects: in Asia and many other parts of the world insects are a common food source, and they could be adopted in Western cuisine. Insects offer many advantages: they are a rich source of protein and energy, require little space, and eat plant remains—in contrast to pigs or chickens, they do not compete with humans for food—and they are highly biodiverse. What we will eat in the future is up to us. Food is just a matter of habit. 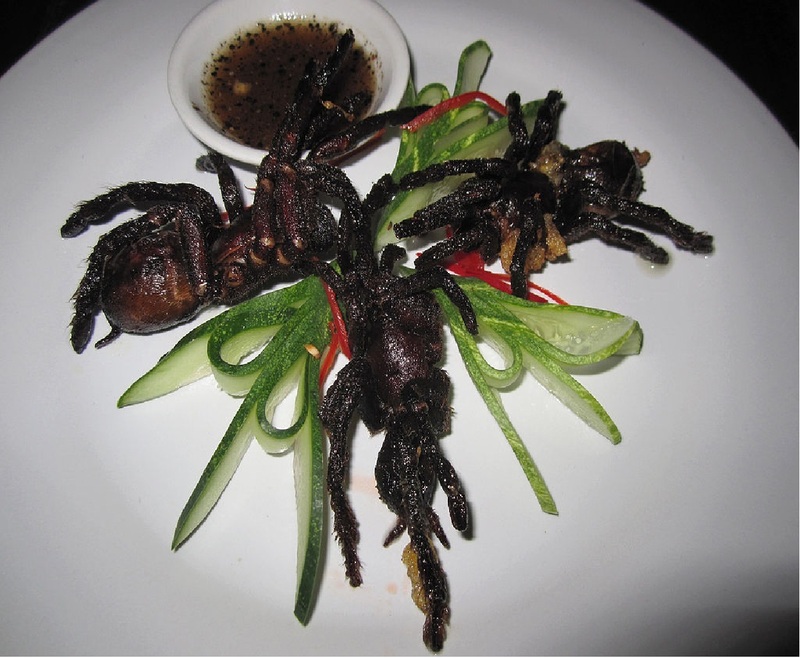 This tarantula appetizer is rich in protein. Created by istolethetv. View source. 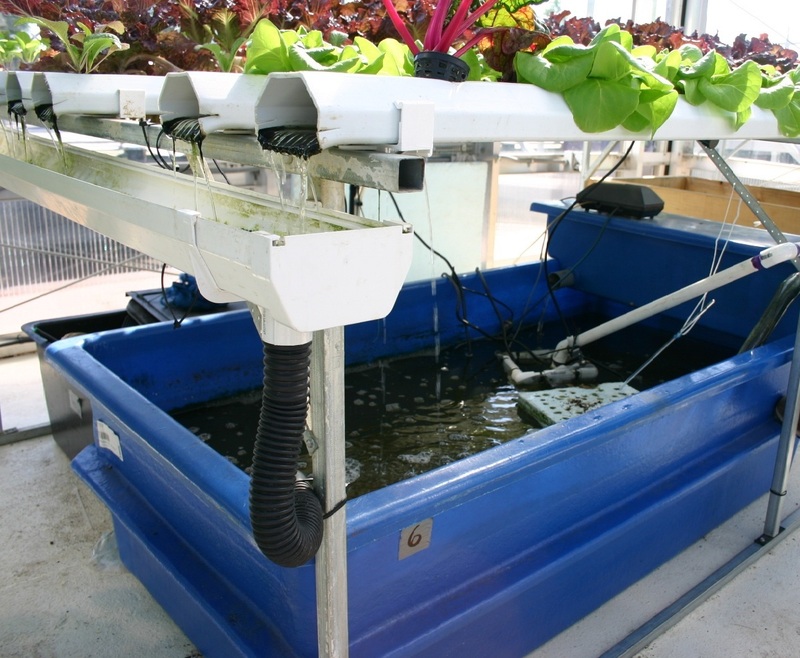 The aquaponic system produces tomatoes and fish at the same time. Created by Ryan Somma.View source. There is increasing competition for the use of the Earth’s land area. Fish farming has to become more sustainable. One solution that conserves both resources and space is aquaponics. The Leibniz-Institute of Freshwater Ecology and Inland Fisheries (IGB) developed this aquaponic system in which tomatoes and fish are farmed together in a self-contained artificial environment—water waste, use of mineral fertilizers, and carbon dioxide emissions are minimal.The nutrient-rich water from the fish tanks is purified, then circulated via pipes to the tomatoes, which are planted in mineral wool. The plants extract the nutrients they need from the water. The system does not require a large water supply and is thus suitable for use even in arid regions. An area of 1,000 m² produces 15 tons of fish and tomatoes annually—and it can be run without fossil fuels: the warmth from municipal biogas plants and solar panels is used to heat the water. Whatever forms of food production and consumption are chosen for the future of the Anthropocene, one thing seems clear: it is very important to develop local concepts, to shorten routes of transport, and to strengthen local agriculture.